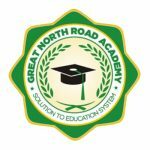 As Great North Road Academy, we are looking for committed a Teacher for the Primary section (Grade 7) to complement our qualified workforce of educators. The Teacher will be responsible for preparing and implementing a full educational teaching plan according to the school’s requirements. It will be fundamental to provide knowledge and instruction to pupils while helping them develop their personalities and skills. If you possess the following qualities and are able to manage the responsibilities, send us your C.V ONLY in PDF format to the email [email protected] with the subject tagline of ‘G7 Teacher’.